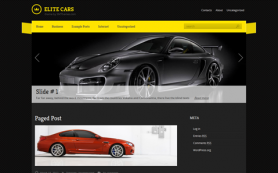 Buying or selling a car online should not be a chore, neither should it be cumbersome to make a website to showcase a fleet of cars. 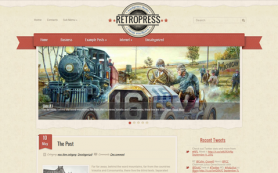 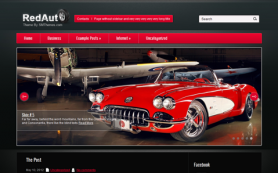 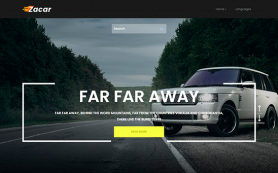 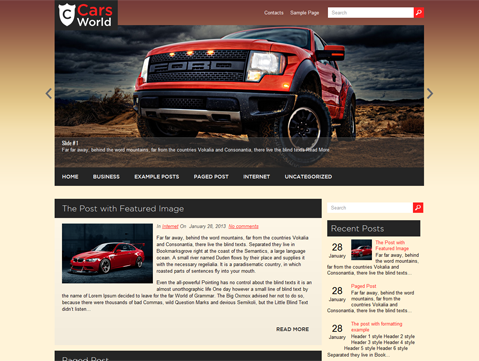 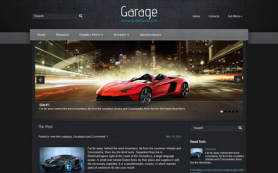 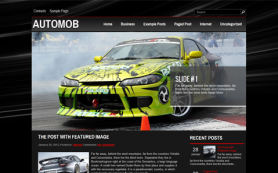 CarsWorld is a free WordPress theme that makes it possible! 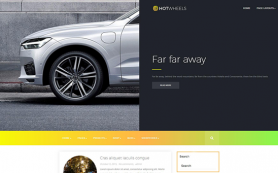 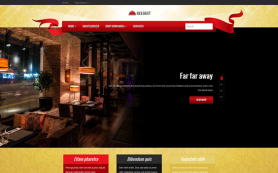 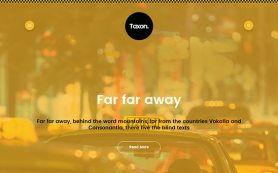 The powerful auto theme is resplendent with features and with a matchless design oozing with shades of yellow and red – the layout is a sureshot winner. 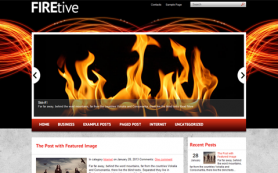 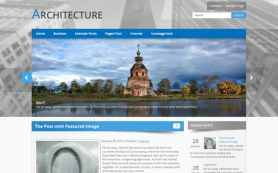 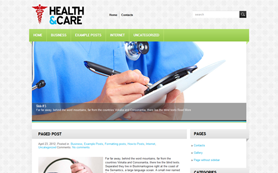 The premium WordPress theme come with easy to use administrative panel, and eye catching related posts. 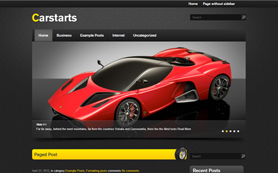 Download and install the theme free to learn about all its features.